It was while touring with Donald Wolfit’s company in 1942 as a callow 17-year-old that Brian Rix decided to emulate the great tragedian by becoming an actor-manager. It was there however, that the homage stopped, with Rix eschewing the classics to focus instead on farce. It proved a shrewd choice, with Rix quickly establishing himself as a comic actor of jovial accomplishment and an impresario with a gift for giving audiences in search of laugh-out-loud entertainment what they wanted. He appeared in and produced more than 70 farces, notably occupying the Whitehall Theatre for the best part of three decades and also popularising the form on tour and television. It was from Wolfit he had earned an early compliment for his comedic abilities when, as Snout in A Midsummer Night’s Dream, his tights fell unexpectedly to the floor, much to the delight of the audience. Rix duly repeated the accidental unclothing in subsequent performances, unwittingly creating what was to become a signature bit of business that he later claimed to have performed 12,000 times over a 30-year period. Born in Cottingham, East Riding of Yorkshire, to a ship’s outfitter father and an amateur dramatics enthusiast mother, Rix had joined Wolfit (with whom he also appeared as Curran in King Lear) while waiting for a posting to train as an RAF pilot, a position the end of the war rendered redundant. He worked for ENSA (the government-backed morale-boosting Entertainments National Service Association) and spent a season with the White Rose Players, Harrogate, before forming his own company in 1948 to present weekly rep at the King’s Hall, Ilkley and winter seasons in Bridlington and Margate. His breakthrough came in 1950 when he produced and starred in a tour of Colin Morris’ farce about post-war conscripts, Reluctant Heroes. When he brought it into the Whitehall Theatre in September that year, he was just 26 and at the time the West End’s youngest actor-manager. Reluctant Heroes eventually ran for 1,610 performances and was estimated to have been seen by more than a million people in London and on tour. Its success set the seal on Rix’s subsequent theatre career and led to a constant presence in the West End over the next three decades. A long-running partnership with the BBC saw recordings of live performances from the Whitehall Theatre being televised over a 17-year period and made stars of many of the de facto repertory company that Rix had established at the venue. 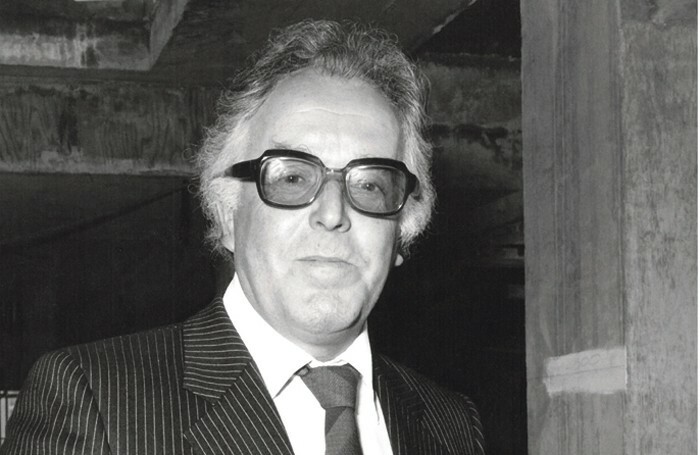 Rix was to have two other long-running hits over the next decade, both written by John Chapman: Dry Rot (with 1,475 performances) and Simple Spymen (1,403). Collectively, they established the Whitehall Farce as a brand with a large and loyal audience that dutifully followed the company’s successful move to the Garrick Theatre in 1966. As fashions changed over the next decade and farce became less attractive to audiences, Rix gradually became less involved with the theatre, his disenchantment exacerbated by his management of the conglomerate of theatres part-owned by the playwright Ray Cooney from 1977-80. He returned to acting in 1982 to play Falstaff in Henry IV Part I and Josiah Bounderby in an adaptation of Dickens’ Hard Times for BBC Radio 4 and to the stage for a brief period in 1988 with a revival of Dry Rot at the Lyric Theatre. Prompted by the birth of his first daughter with Down’s Syndrome in 1951, Rix had become increasingly involved in charities dealing with mental health and physical disability. In 1980 he was appointed secretary-general of Mencap and, despite initial reservations from some, he set about restructuring the charity, raising its profile and substantially improving its fund. Always an active campaigner, he became its chairman in 1987 and its president in 1998. He also served as chairman of the Arts Council of Great Britain’s drama panel from 1986 – the year in which he was knighted – before resigning in protest against funding cuts in 1993. He was made a life peer in 1992 and played an active part forming legislative bills that extended statutory childcare to disabled children and gave those with learning difficulties the right to vote for the first time. He published two volumes of autobiography – My Farce and My Elbow, and Farce About Face – as well as two books on theatre history and a history of Mencap. Rix was married to the actress Elspet Gray until her death in 2013. His younger sister, Sheila (Mercier), found fame as Emmerdale Farm matriarch Annie Sugden. Just weeks before his death, he called for a change in the law to allow for those with terminal illnesses to end their own lives. Brian Norman Roger Rix was born on January 27, 1924. He died on August 20, aged 92. He is survived by three children, including actress Louisa Rix and television producer and children’s author, Jamie Rix.